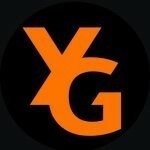 Start taking classes at YG Studios NYC and other studios! This class is a yoga based class designed to help lengthen the body, strengthen the core and to create stronger ranges of motion and mobility. This class is not only designed for yogis who want that extra push, but also for those who are cross training and need a good stretch! Flow of the class: -35 mins of yoga vinyasa flow -10 mins of glider work to strengthen the core , arms and legs. Then we switch to sandbags (your preferred weight) to change the range of motion in our arms and our legs. Then a 2 minute NON-STOP ab exercise. -5 mins of final stretching, which brings us back to the mat and ties it all back to our yoga practice! It was ok. The teacher had her friends there and made it feel a bit inappropriate. The work out was good the vibe was weird. Class is not whats described. Its a regular yoga class, and not a good one at that. Choreography was repetitive and didnt seem like it was pre-planned. Alexa is an amazing teacher! Dynamic, professional and positive workout. Loved it! This was just a boring yoga class with a teacher who only paid attention to adjusting the music. There were no gliders and no 2 min intense abs section. Still sore! And sweat so much! Wowww what a class! Great sweat! Alexa is a great teacher. Lovely class with tons of one-on-one instruction. Got confused about the location and I worried the class size was going to be too small, but It ended up being a great class. Great class, got a good sweat. Clean mats. Great class! Moved quickly but easy to follow. Good workout. This was a very hands on, encouraging class. Great workout! Will be back. I had been so excited to try this class thinking it was challenging, as the description makes it seem, but it was anything but. The instructor was young and sweet but clearly didnt understand yoga flow lingo and said actually wait and nevermind lets so many times that the flow was rusty at best. She was so distracted with creating a playlist and changing the songs before they were over that she couldnt lead us in proper sequences. She didnt describe things correctly, either, which was can be quite dangerous. On top of that, we didnt use gliders at all. If I could give this class 0 stars I would. What a waste of 8 credits- it should NOT be this many for a crappy, smelly studio and boring AF class. It was a pretty decent workout but I wouldn't call this a yoga class, based on the pop/rap music that was playing. The instructor was nice but she never introduced herself at the beginning of class and was almost too informal of how she instructed the class. I definitely would have been upset if I had spent money/credits on this class, but luckily I had a few free credits left to use up.